Bus Ride to the Bay Area – It's With a "K"
Last weekend, I accompanied my mom to San Jose for her friend’s birthday. Instead of flying out, we got a superb deal for a $20 round-trip via bus. I’m not the most pleasant passenger because I get car sick like no other – I’d much rather be the driver. It was a nice experience though, seeing that I didn’t have to focus on the road for six odd hours. We left at 6:00 A.M. and got to San Jose a little after 12:00 P.M. 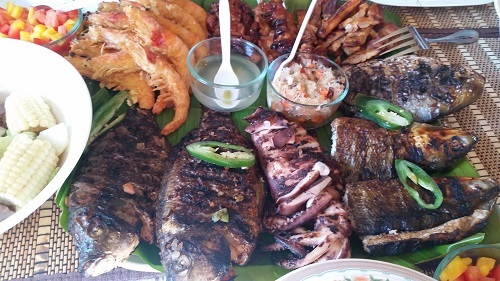 When we got to my mom’s friend’s house they had a pretty awesome Filipino lunch spread. Since I really wasn’t all that interested in hanging out with my mom’s friends, I spent the rest of the afternoon and evening napping and watching Filipino shows and movies on my tablet. I swear technology can be such a lifesaver – as can power chargers lol. The next day, I woke up at the crack of dawn to a temperature of 45ºF. Cold as heck. I’m incredibly thankful for running hot water. 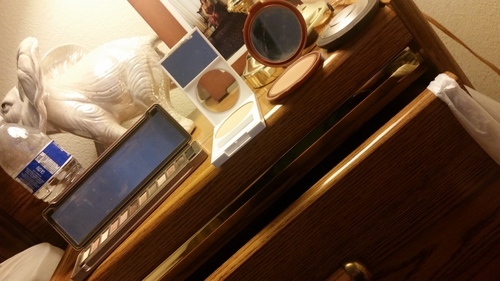 But, one of the “joys” of traveling is having to deal without a full vanity. So, as a result I had lined up my mirrors to simulate a wide mirror (not really). 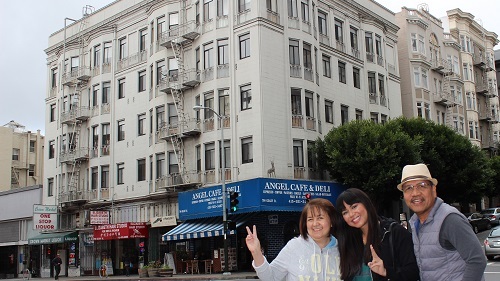 That day our gracious hosts drove my mom and me to San Francisco to hunt for Clark’s (from Filipino soap “On The Wings of Love”) apartment. Seeing that I’m an addict, I just about died when we pulled up to the street corner of Geary & Leavenworth. Granted, this was only used for exterior shots, it didn’t make it any less exciting. 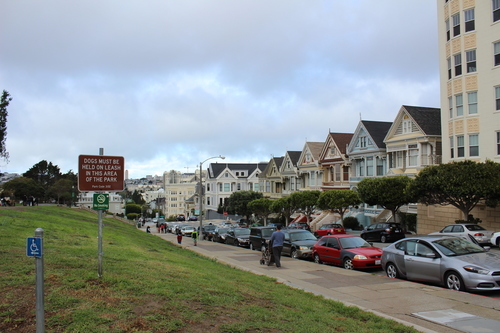 Our next stop was the Painted Ladies on Steiner Street across from Alamo Square. These houses are most notably known for their appearance on the opening credits of 90’s show “Full House”. 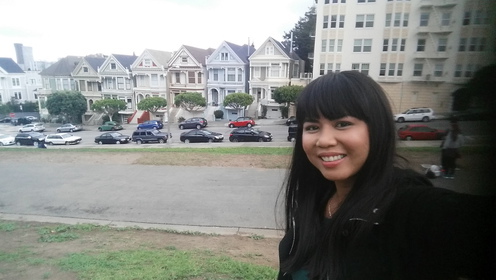 The last time I was in San Francisco, I visited the actual “Full House” house, so it’s no surprise that Painted Ladies was next on my list. After these two stops, I was okay with being done for the day. 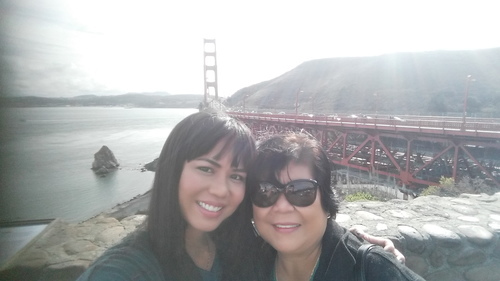 My mom wanted to check out the ever-popular, not-at-all-golden, Golden Gate Bridge. 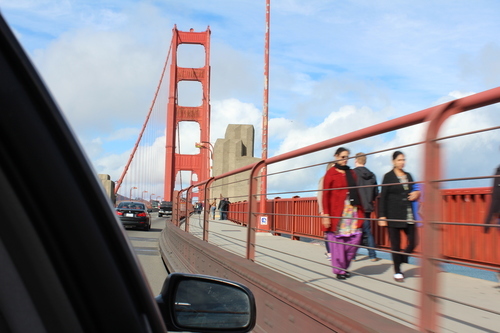 For a Sunday, it definitely was packed on both ends of the bridge. Thankfully for a day where there was 62% chance of rain, the weather was very cooperative. 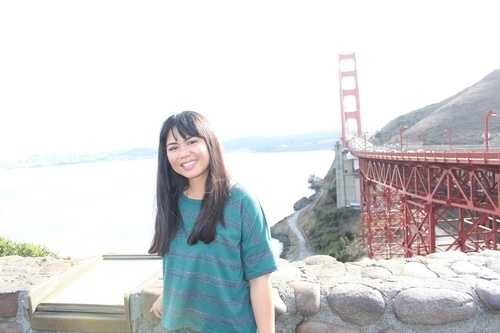 After the Golden Gate Bridge, we had a late lunch at a Filipino restaurant, Ling Nam in Daly City. We ordered their house special mami (noodle soup) and pork asado siopao (steamed buns), it was quite inexpensive in comparison to Filipino restaurants in Los Angeles. After we went back home to recharge and refresh before another dinner at Barrio Fiesta in Milpitas. After a heavy late lunch, I really was not hungry at all, but it was our last night so mom wanted to meet up with her friends, so off we went. I had a little bit of caldereta (beef stew) and rice. 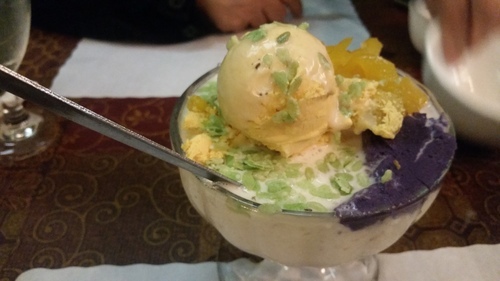 But, the highlight of my evening was, of course, the halo-halo (shaved ice) with mango ice cream. Our bus ride the next morning left at 7:10 A.M. and with the aid of Dramamine, I was knocked out for pretty much the whole ride home. 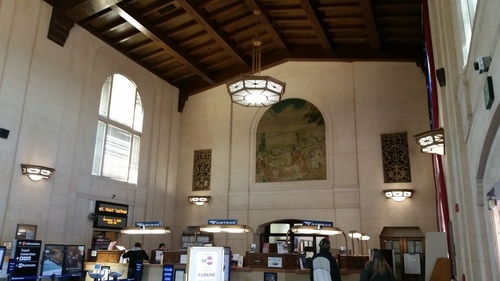 When we got to Union Station, we walked over to China Town to have lunch before taking the Metro home. It’s been a long while since I’ve taken the Metro, and in all honesty that was the portion of the trip that wore me out the most. All in all I had a great, quick trip to the Bay Area. Here are some other photos from my trip. Until we me meet again!